No ads or In-App purchases! 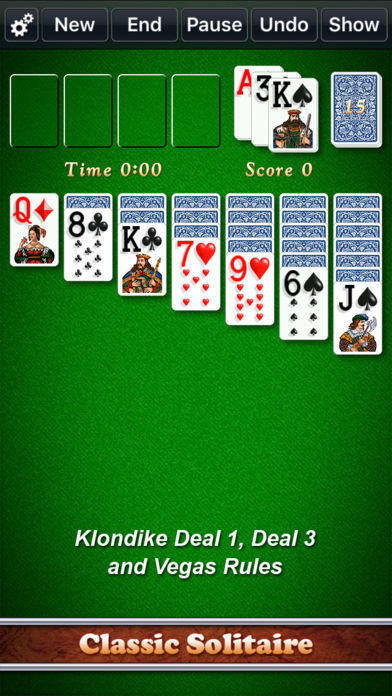 Play Klondike solitaire, the world's most popular solitaire/patience card game where you arrange the playing cards in descending rank of alternating colors. A two deck version called Double Klondike is also included as a bonus. 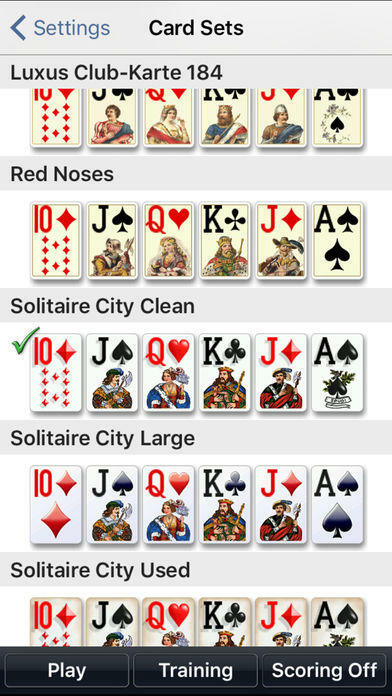 Solitaire City® Classic is a Universal App! Buy once and play it on all your iOS devices with enhanced high resolution graphics on iPads and incredible HD graphics on all devices that have Retina displays. 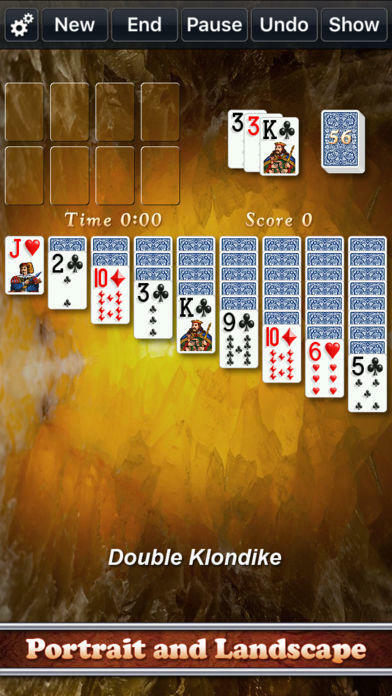 This is the classic version of Solitaire that most people know and love. It’s the version that ships with Windows and is also known as Klondike or just simply Patience. Solitaire City Classic contains six variations of this extremely popular solitaire game including Deal 1, Deal 3 and Vegas scoring. Double Klondike has been included too which is the same game but played with two decks of cards instead of one. Solitaire City’s drag and drop controls are incredibly easy to use and the silky smooth card animations, particle effects and sound effects supply countless hours of fun. 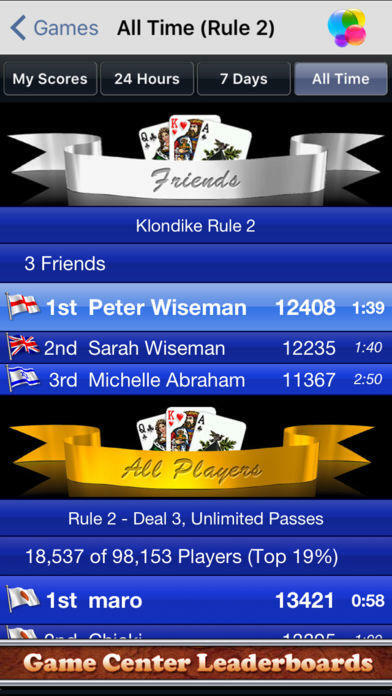 What makes Solitaire City so popular though is the timed scoring system. The faster you complete a game, the higher your score. You’ll play long into the night trying to add a few points to your best score and see your name in lights on top of the Game Center leaderboards. The timer can also be turned off by those who prefer not to compete and simply wish to play a nice relaxing game of solitaire. 1) There is an option that can ask you to confirm if you want to end a game on the Settings screen. It's called "Confirm New/End" and if you're prone to accidentally hitting the New button during play then simply turn it on. 2) If you like to play Solitaire City in bed, then you can lock the display to either landscape or portrait, again from the Settings screen. If you already own Solitaire City Deluxe™ then you don’t need to buy this Classic Edition as these six versions of Klondike are already included in the Deluxe Edition – unless you want to continue to support the developer, in which case, don’t let us get in the way of your generosity !! 1) Added winning and losing streaks statistics for each game and rule number (at the bottom of each hi-score table). 2) There's now a Frequently Asked Questions page accessible from the Settings screen. 3) Added a way to tell friends about the game via e-mail or text message from the Settings screen. 1) The game was a mess on iPhone 6 Plus devices running iOS 9. 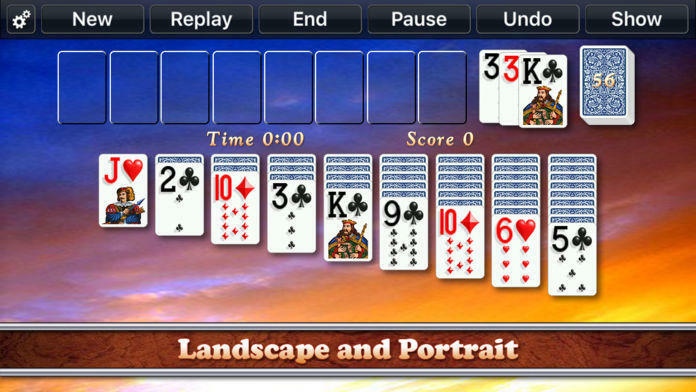 The game was accidentally using non-retina card graphics and backgrounds making them look blurry and the cards were covered by the shortcut bar. This has been fixed. 2) If you tapped on a card to select it and then flipped the phone's orientation then the card would end up in the wrong position. If you've reviewed or rated a previous version of Solitaire City then please take a few seconds to re-send it as ratings are reset with each new update. Your old review will still be present when you press the "Write a Review" link on the Solitaire City review page.